The huge demand for palletising robots is expected to bring in many technological innovations to meet the requirements of the customer. Universal robots and Fanuc have recently upgraded the game with their unique solutions. Palletising robots are used for automatically compiling different products from conveyor belts to pallets. Used mainly across the food, manufacturing and shipping industry, the robots play a vital role as it improves the loading and unloading process quite significantly. 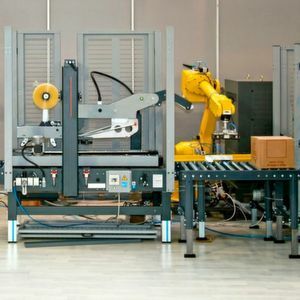 According to a report by Future Market Insights, the global palletising robots market is slated to touch a value of about 1,500 million dollars in the year 2022 and display a robust CAGR during the assessment period. Currently, the food and beverages segment dominates the global palletising robots market due to the early adoption of the technology, mentions a report by Market Watch. It further adds that the North America palletising robots market is expected to account for a major share in the global market in terms of revenue, and is expected to maintain its dominance in the coming years, due to growing adoption in countries such as US in the region. The report also predicts that the demand for palletising robots in Asia Pacific will increase, thus resulting in its highest CAGR in the next five years due to increasing automation in the region’s supply chains. Given this scenario, manufacturers are now incorporating numerous technological advancements in their palletising robots to enhance the work process. For instance, Universal Robots together with Apex Motion Control have introduced the Zero Footprint Palletiser. Equipped with the Universal Robots’ UR10 cobot along with a vertical 7-axis swing system, the palletiser can work alongside humans without any barriers and can easily be integrated into the existing line of work. Occupying less space, the palletiser proves ideal for mid- rate production and comprises a maximum payload of 18 lbs. In 2017, the robotic company Fanuc introduced the fastest palletising robot in its class – the Fanuc M-410iC/110 which is capable of performing 2,200 standard palletising cycles per hour. 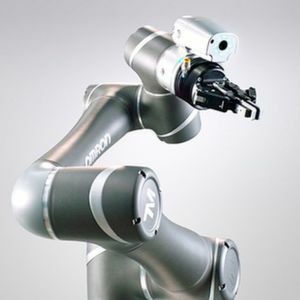 Designed for high-volume production, the 4-axis robot is compact in size and boasts of a load capacity of 110 kg. The palletising robot also has a working range of 2,400 mm and its purpose-built kinematics enable it to reach the best possible level of efficiency for palletising within a given workspace. Similarly, other leading players such as ABB, Kuka and Yaskawa Motoman have also made such efficient and accurate palletising robots available in the global market. One place to witness the latest innovations in packaging, weighing, measuring and franking including palletising robots is the LogiMAT show. The intralogistics event will be taking place in Germany and will focus on the technologies needed for intralogistics solutions and process management. Visit the exhibition to stay updated on the latest innovations across the globe.